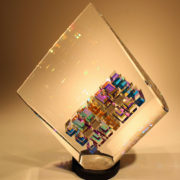 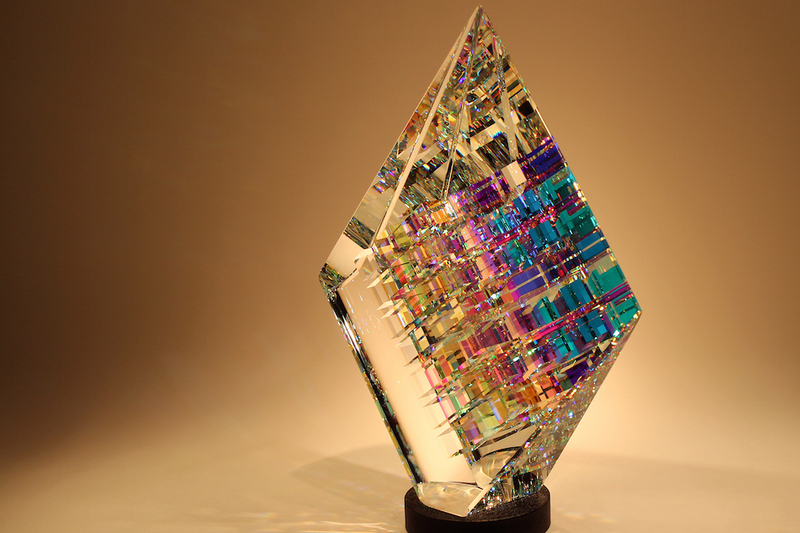 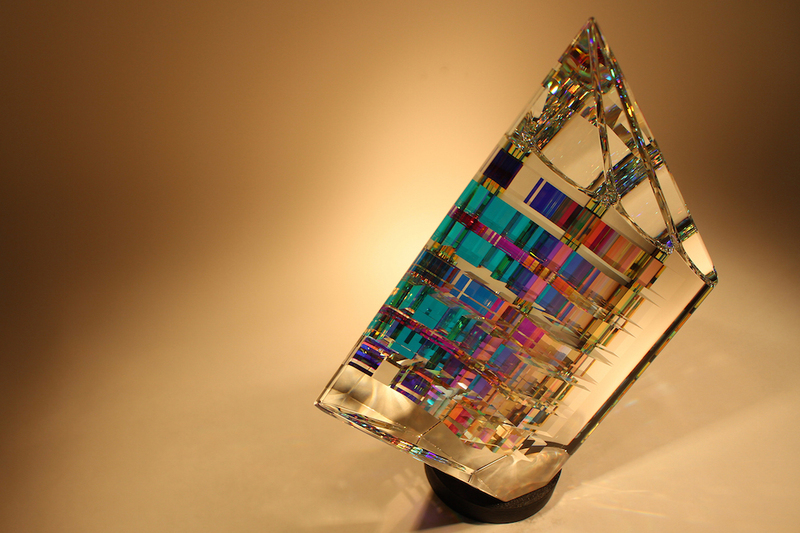 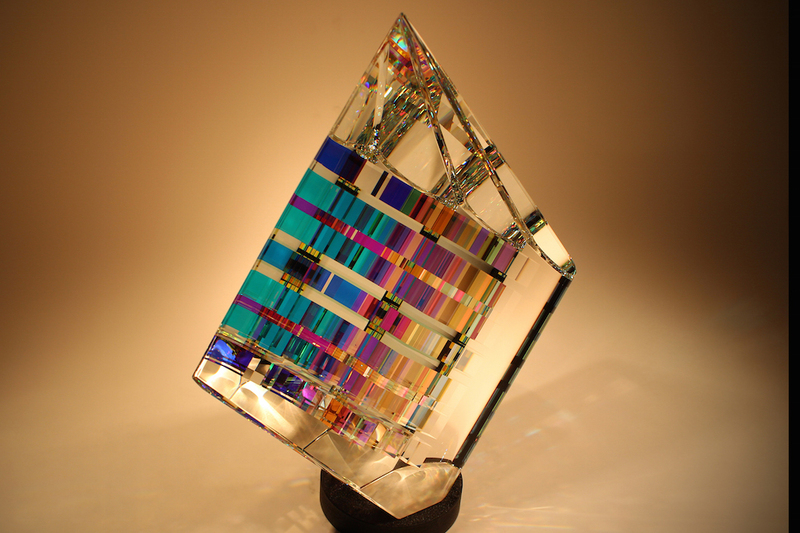 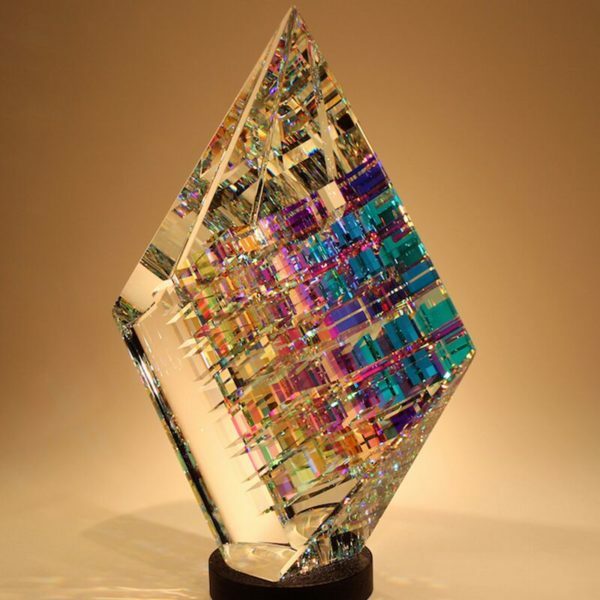 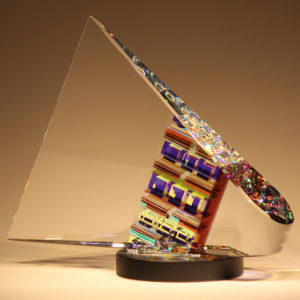 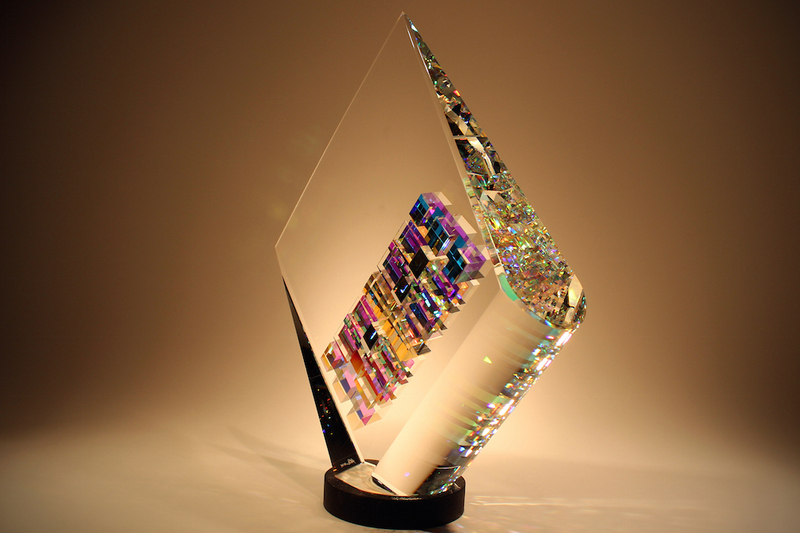 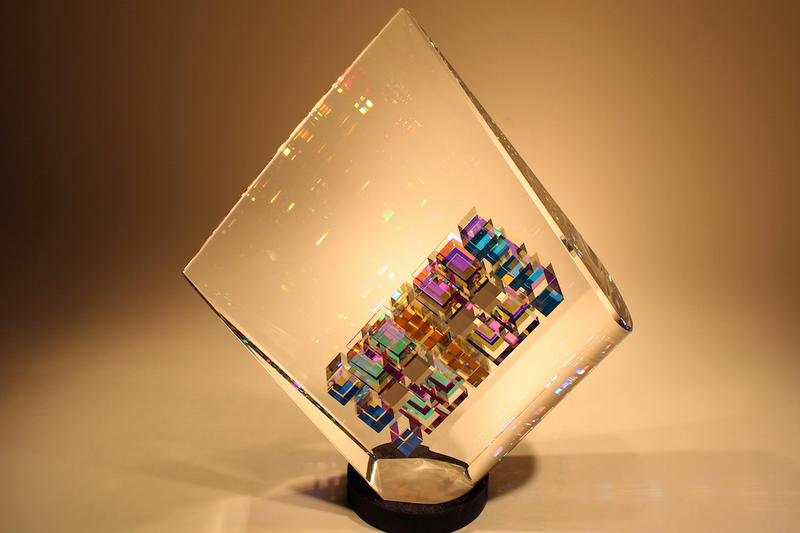 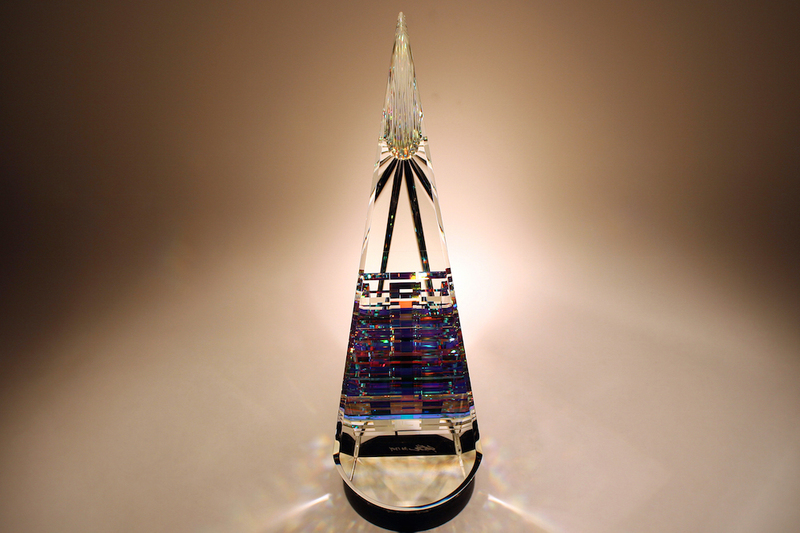 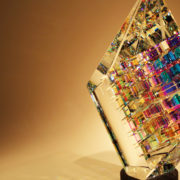 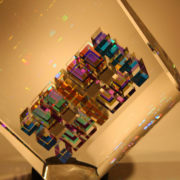 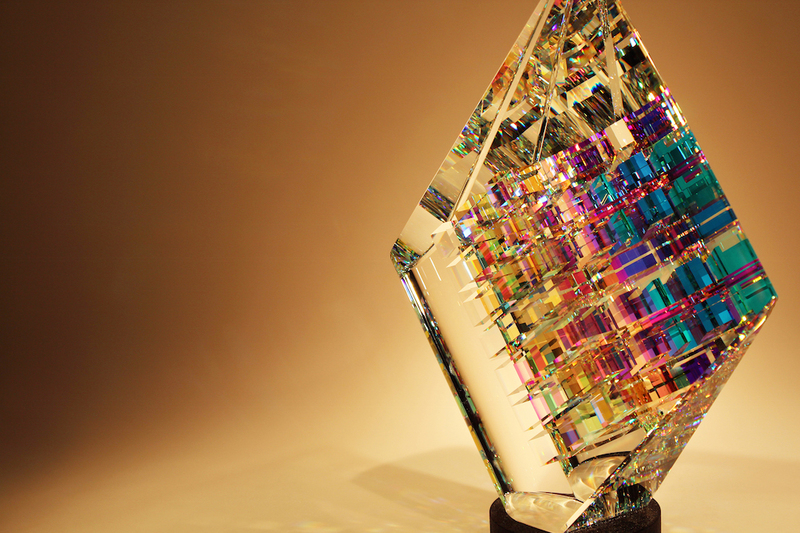 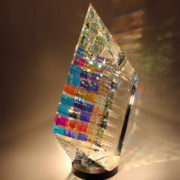 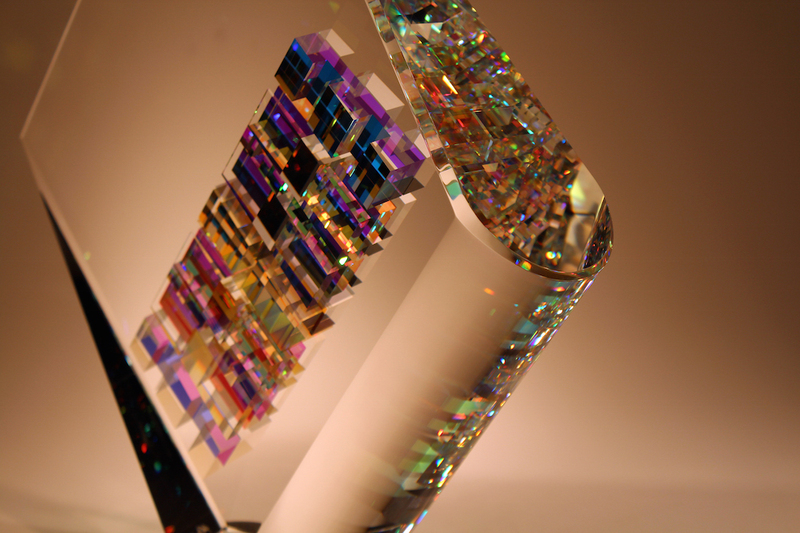 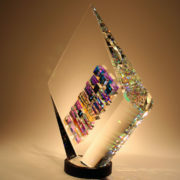 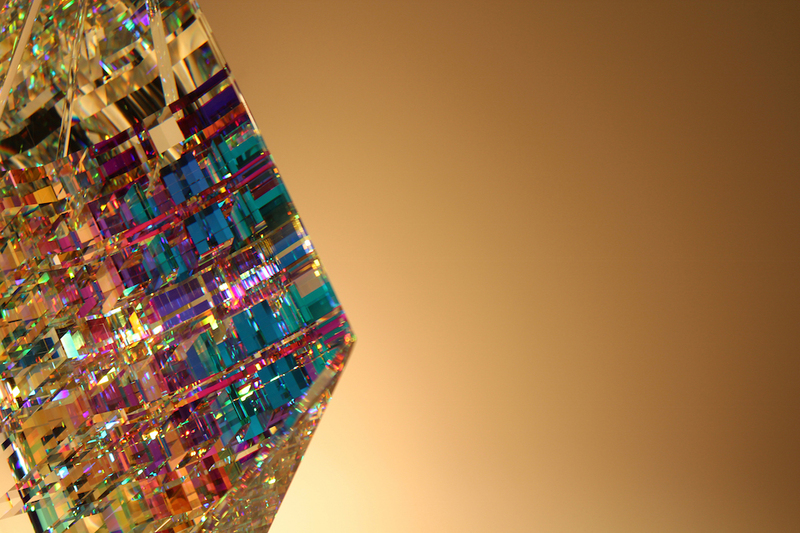 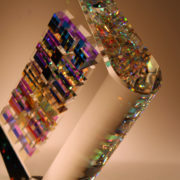 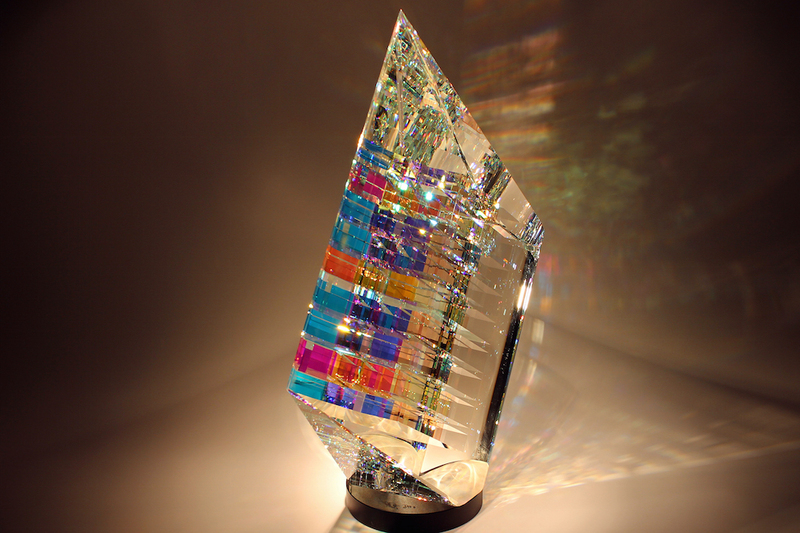 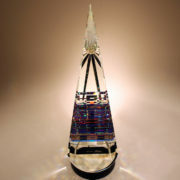 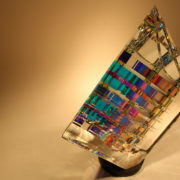 The Aerial is one of the first cold glass sculptures designed by Jack Storms. 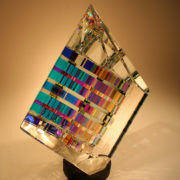 This piece was inspired by air and light and the shape was meant to give a sense of enlightenment. 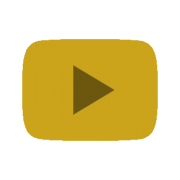 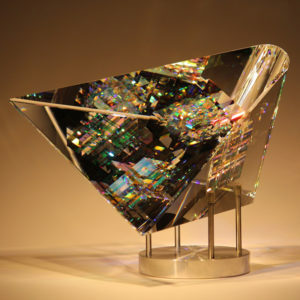 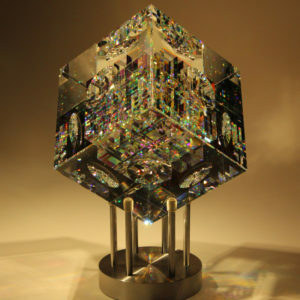 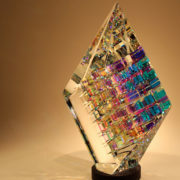 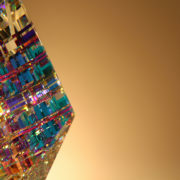 The sculpture has a lead crystal core with a pointed tip to catch all reflections that the rounded bottom and the colored core can push its way. 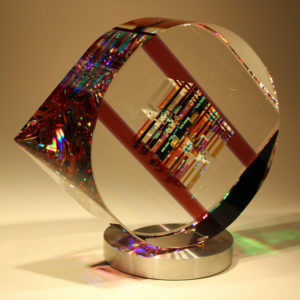 The curves and lines of this piece make it one of the best sellers. 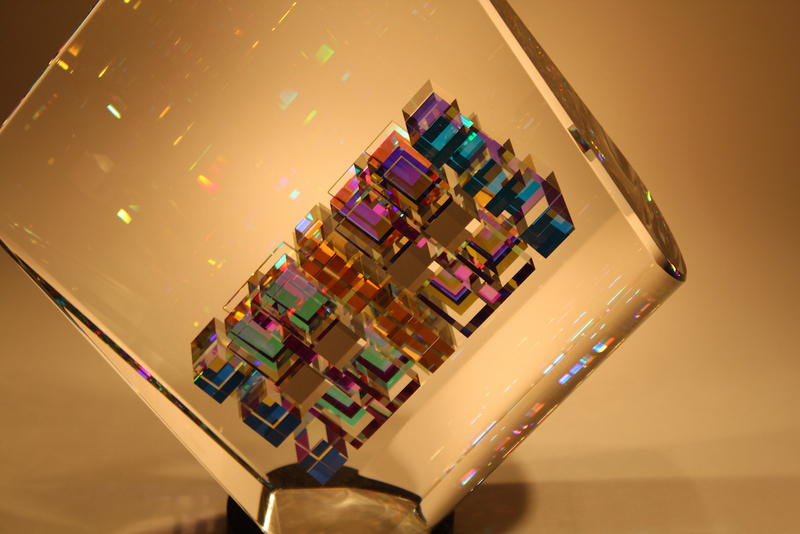 Despite the size of the Aerial, the colors within the sculpture are constantly changing according to the light, time of the day, surrounding colors and external influencers.